My love for food grows stronger each time I try something new. 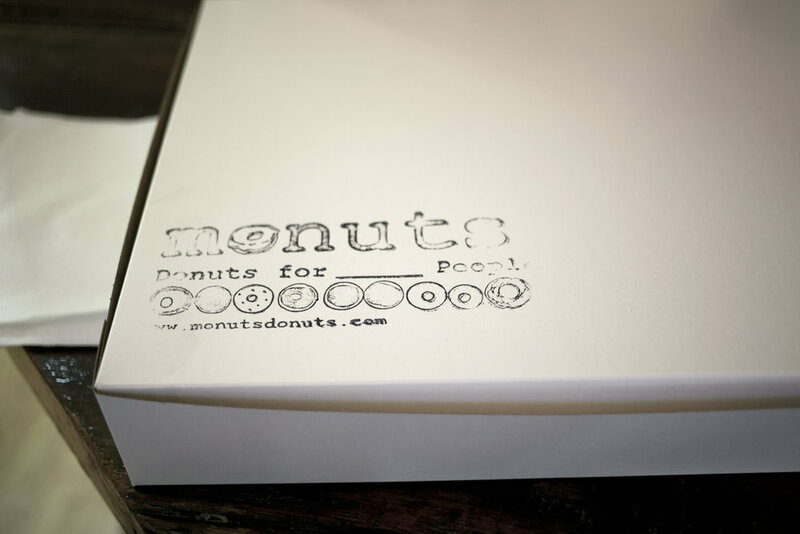 During my time in Raleigh, for the long weekend, I finally embarked on an easy 30-minute journey to...MONUTS DONUTS! My dear friend, Etta, shared this gem with me during her time in Durham. She said this was a great donut shop that I M U S T experience. From the minute I walked in, I knew I was in for a treat. Since it was my first time, I couldn’t just try one. This is why the box of a dozen was invented. I squeezed in as many donuts as I could and was headed back down the road to share them with the fam. After a sampling party of our own, the top 3 results are in. Apple Cider is, by far, my favorite donut on their roster. Anything with apple and sugar is a hit in my book. It was like eating fresh squeezed cider in donut form. Second is the North Carolinian, a sweet potato cake covered in bourbon glaze. T O - D I E - F O R. Third was their Peach and Pistachio. The perfect mix of salty from the nuts sprinkled on top and sweet from the peach flavor. This is a combination I continuously crave. Each of the donuts were moist, with just the right amount of sweetness and cakey consistency. This gem was brought to life by co-owners, Lindsey Moriarty and Rob Gillespie. They have created a supportive environment for their team and delicious treats for their visitors. They are a company that values community and using quality ingredients. 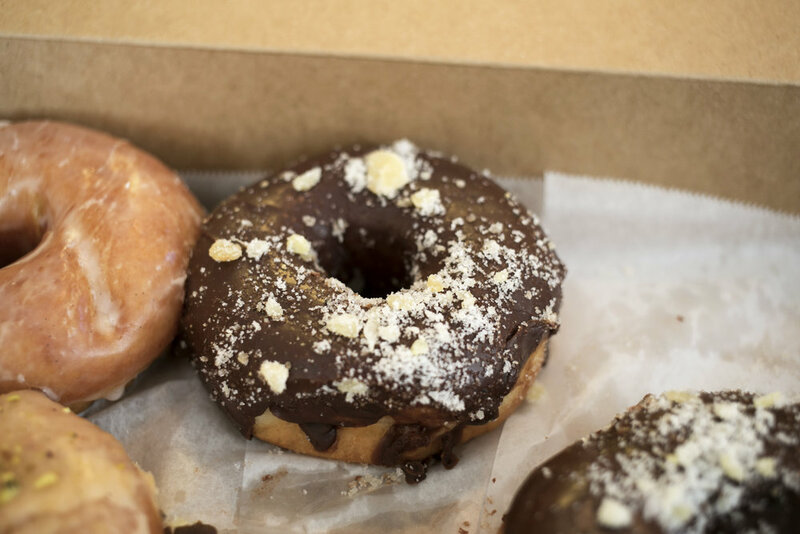 Monuts Donuts has been added to my list of “must-haves” when traveling to Raleigh. Located where Magnolia Grill, one of my mom’s all-time-favorites, once was, they embody the essence of tantalizing cuisine. I look forward to indulging in more flavors upon my return in November!